Found another one. 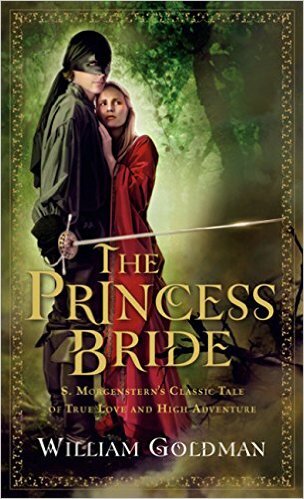 In addition to Stardust and The Natural, The Princess Bride by William Goldman is a better film than book. I read the latter this month and was in awe of the actual book within a book. Admittedly, Goldman is a remarkably creative, funny, and powerful writer. But the literary mechanism he uses to set up, interject, and conclude the beloved ’80s story — in this case pretending to be a humbled author searching for his next great hit by abridging “the good parts version” of another fictional author’s larger work — detracts from an otherwise five-star effort. I suspect even Goldman realized this when writing his award-wining screenplay for the actual movie 14 years after publishing the book. Instead of his original, confusing, and over-the-top author trope, Goldman instead opts for the much cleaner “grandpa reading the story to his sick grandson” setting. Either way, Goldman is a sarcastic genius. And I’m glad he finally got it right. Four stars out of five. Would have awarded it five stars had it not been for the above oversight. The woman who emerged was a trifle thinner, a great deal wiser, an ocean sadder. This one understood the nature of pain, and beneath the glory of her features, there was character, and a sure knowledge of suffering. The rope seemed almost alive, the greatest of all water serpents heading at last for home. His eyes bulged wide, full of horror and pain. It was glorious. If you like that kind of thing. I really do think that love is the best thing in the world, except for cough drops. But I also have to say, for the umpty-umpth time, that life isn’t fair. It’s just fairer than death, that’s all. I really liked the way the book was setup, but then I’m a sucker for fictionalized footnotes. See also: Eaters of the Dead by Michael Crichton, which was made into the film called The 13th Warrior.